Hilarious, thought provoking, even educational – the stand-up magic of Marcus Morgan is different. 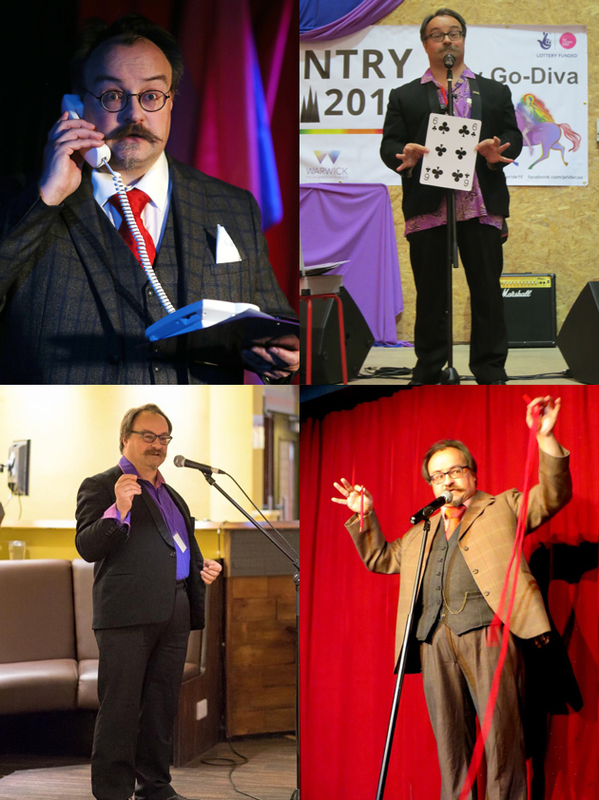 As an award winning LGBT activist, and a professional magician, they combine intelligent magic with quick wit & queer humour. Their drag character “Prospero Acronym” debuts in 2019! 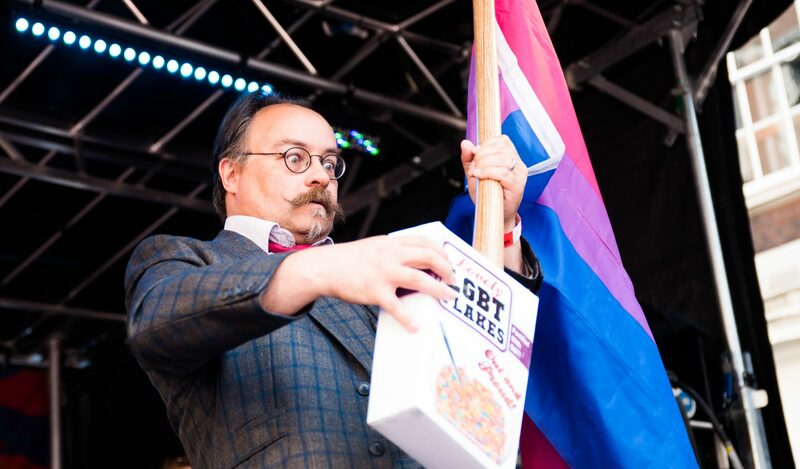 Meanwhile you can see excerpts and other routines at LGBT and Bisexual events around the country, or see them in action at CaBiRet – the bisexual variety night they created and host in south London. 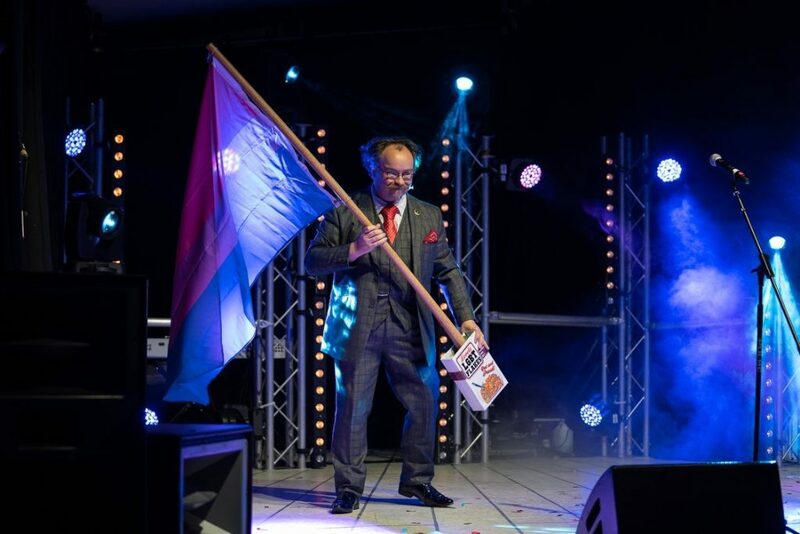 In 2018 alone you might have caught them at LGBT Prides in Exeter, Coventry, London, the Isle Of Wight & Romford, as well as Magic at The Ritz, Queer As Jokes, Stand Up Magic, Pride’s Got Talent, the Phoenix Club Cabaret Awards, Recon’s Fetish Comedy Night, Wotever’s Non Binary Cabaret, The Bi Life Show, Now That’s Magic, and The Magic Circle Christmas Show! You can find them on Twitter here, on Instagram here, and on Facebook here. Marcus is a member of The Magic Circle, The International Brotherhood Of Magicians, and the performer’s union Equity. They are also the chair of the bisexual activist support network The Bisexual Index.